When the contract on my iMate JAS-JAM ran out recently, I decided not to renew the contract and to remain completely mobile-less. 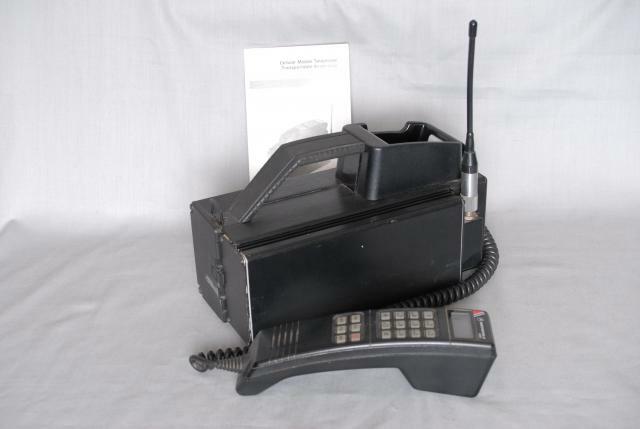 For someone who has been using mobile phones since the bricks (actually they were bigger than bricks - see pic) in the very late 1980s, it was very strange at first. This was about one month ago. It must be noted that I am writing up my PhD, so I am permanently attached to the laptop and/or several desktops and therefore I am not really 'disconnected'. But as time wore on, the most noticeable aspect was the freedom. No annoying phone calls at the movies, no need to carry anything when walking around, no need to worry about forgetting it. It has been a very freeing experience. I doubt I can do this once my thesis has been submitted, but I must admit that both my budget and my stress levels have improved. The additional functionality of the JAS-JAM (awesome in its time, now just another brick!) is only a memory. But the fortnightly budget has improved significantly! The major finding of this experiment: be a mobile technology follower. If I had waited, I would have an iPhone. I jumped the gun and paid the price. Same goes for laptops. Staying behind the technology curve is advantageous in the contemporary environment. If I had saved the amount I have spent over the years on mobile technology, I would be considerably wealthier!